It wobbles and spins around, so the treats pass a maze inside and then fall out. The Nina Ottosson Dog Treat Maze is a boredum buster that activates and entertains your dog. The unpredictable movement keeps the toy challenging for your dog. 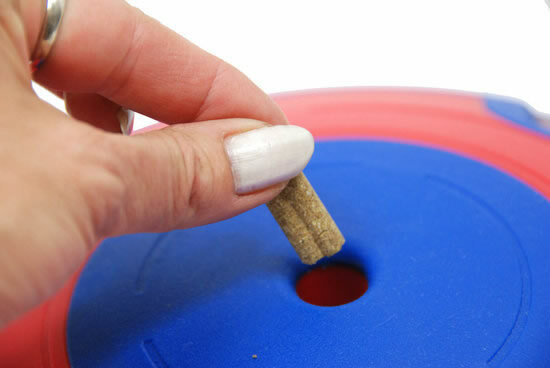 The Large Dog Treat Maze measures 25cm in diameter and is designed for medium and large breed dogs. 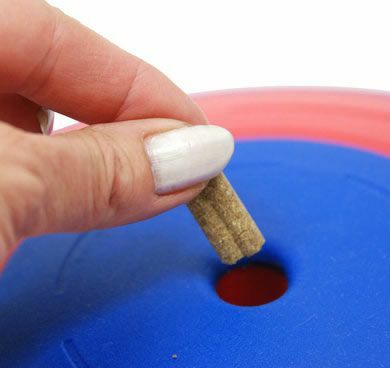 The small Dog Treat Maze is 17.5cm in diameter and is perfect for small dogs. The Dog Treat Maze was created by Nina Ottosson as an interactive game for you and your dog to play together. The toy can be used inside or outside and is perfect for both slow and fast eaters. Put treats in the hole at the top on both sides of the Dog Treat Maze. Your dog has to work to get the Dog Treat Maze in motion so that it wobbles, rocks and sometimes spins around. The treats pass through a maze inside on both sides and then fall out through the openings on both top and bottom. Lots of fun and gets your dog thinking! Read 1 customer review of Nina Ottosson Dog Treat Maze. The average customer rating is 5. My Irish Wolfhound absolutely loves this toy! It keeps him busy for ages and he chases it all around the garden to get the treats out. 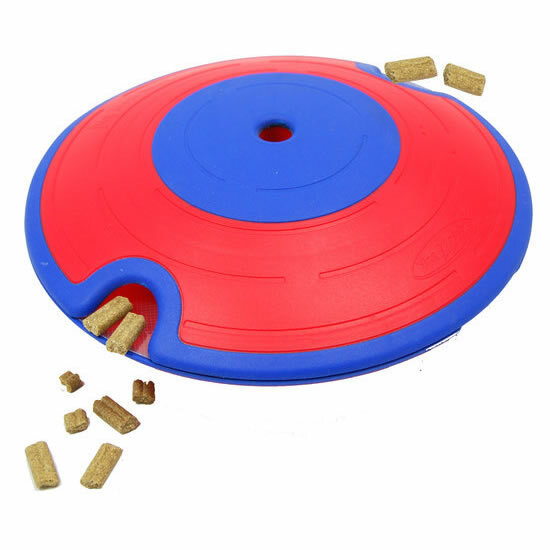 It's very durable, and easy to use, and also quite easy to teach your dog to understand how to get the treats out. Would definitely recommend it.